Do you have plans for tomorrow morning? No? Oh good, then you can make these muffins! 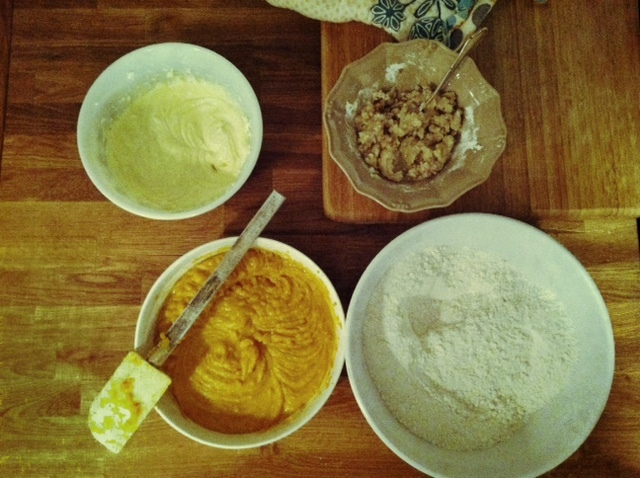 Assemble: filling, dry ingredients, wet ingredients and topping. 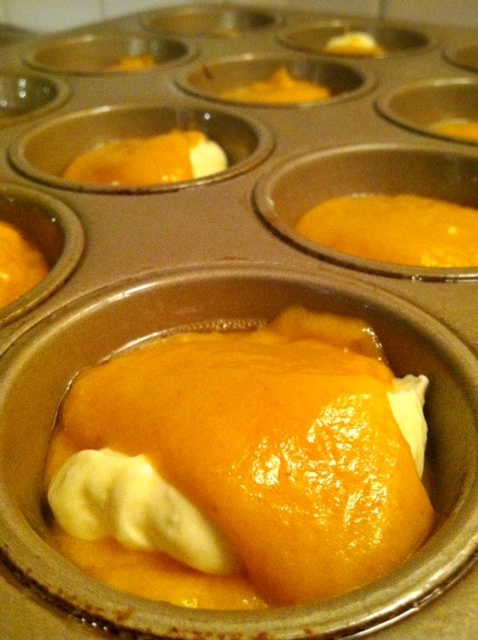 Heat oven to 375 degrees F. Lightly coat two 12-cup standard muffin tins with cooking spray and set aside. Combine the remaining sugar, flour, salt, baking powder, baking soda, and remaining cinnamon in a large bowl. Lightly beat the remaining eggs, pumpkin, oil, and vanilla together in a medium bowl. 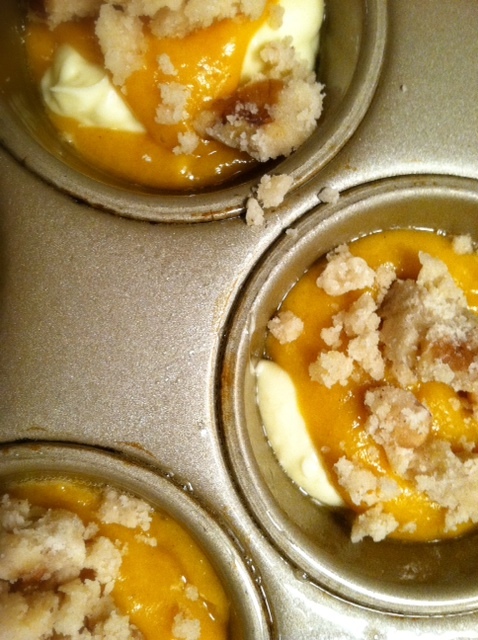 Evenly divide half of the batter among the muffin cups. 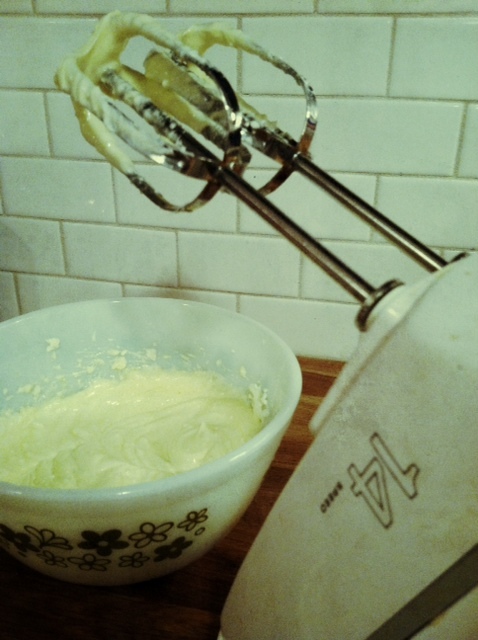 Place two teaspoonfuls of cream cheese filling in the center of each cup and fill with the remaining batter. Sprinkle some of the pecan mixture over the top of each muffin. 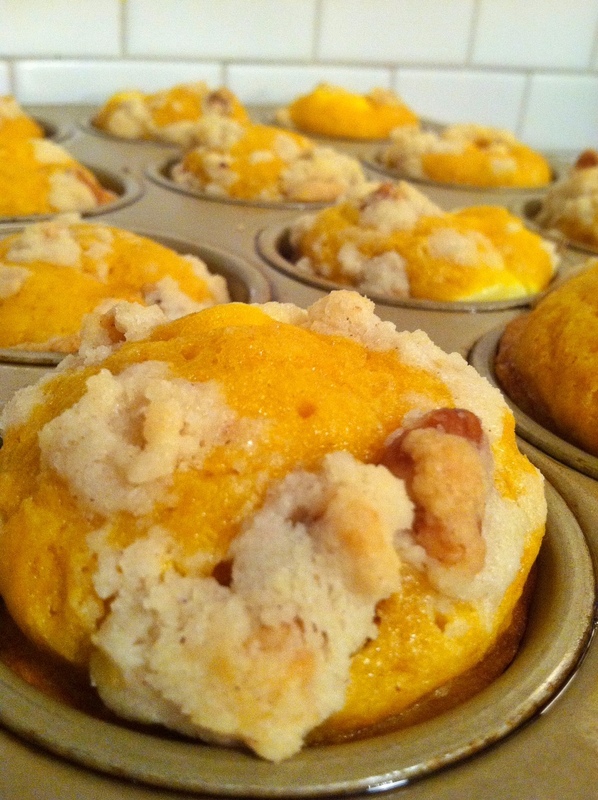 Bake until golden and a tester, inserted into the muffin center, comes out clean — 20 to 25 minutes. Cool on wire racks.